Today is a special day for the Bitrix24 team. We’ve crossed the 1,000,000 company signups mark. 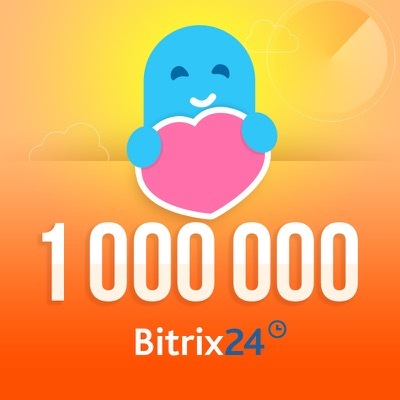 This means that over 6,500,000 people took Bitrix24 for a spin since the service was launched four years ago on April 12, 2012. We now have TEN different sites to better serve Bitrix24 users in 225 countries and territories – Bitrix24.com, .de, .es, .ru, .in, .com.br, .eu, .cn, .by and .kz. So yes, this accomplishment makes us really proud. If you want to congratulate us or tell your friends how awesome Bitrix24 is, we’ll be monitoring social media today to give a special prize or two for the most creative shout-outs!